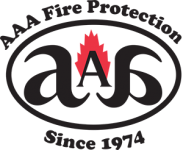 AAA Fire Prevention Services understands that fire sprinklers are one of the most effective tools to suppress building fires. As such, we work with Antioch businesses and businesses throughout the East Bay Area to mitigate the threat of fire by increasing a building's fire suppression capabilities. We bring 40 plus years of fire protection experience to the table. In addition, we have a long and positive relationship with the businesses that we serve. Our fire sprinkler services are comprehensive. They begin with planning and our experienced design team works directly with your builders, architects, and contractors to produce a comprehensive fire sprinkler installation plan. Once the fire sprinkler installation occurs, we follow up with annual and periodic fire sprinklers inspections which help us to test your system. We work with our own systems and we provide fire sprinkler repairs to existing systems. Our goal is always to help you maintain compliance with California's fire code and to enjoy the benefits of a fully functioning fire suppression system. For more information about our company or if we can answer your questions, just give us a call at (800) 543-5556.